MJ Medical is part of the Carillion led team selected as preferred bidder by the Sandwell and West Birmingham Hospitals NHS Trust to deliver the new Midland Metropolitan Hospital under a 30 year concession using the UK Government’s PF2 model. MJ Medical, which has been working on the project from commencement of the first bid stage period, will continue to provide medical equipment planning and procurement services for the remainder of the design and construction programme. The new state-of the-art hospital will serve 530,000 people living in Sandwell and West Birmingham. With around 670 beds and 15 operating theatre suites, it has been designed to meet the best international and national standards to make it truly patient focused and to support the efficient delivery of high-quality clinical services. 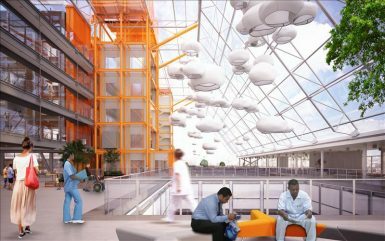 The new hospital will also have a number of innovative design features including a fully enclosed Winter Garden, car parking within the hospital building on the ground and first floors to create a secure environment for both patients and staff and full separation of clinical activities and journeys from the public and non-clinical services. In addition, the design and construction of the hospital will meet the highest standards of sustainability. MJ Medical’s Chairman, Brian Hobbs, said: “After a year and a half of hard work, we are delighted to be part of the team that has achieved this significant milestone for the new Midland Metropolitan Hospital. It is an extremely important scheme in the improvement of healthcare services for the people of Sandwell and West Birmingham, and we look forward to continue working with Carillion and the Sandwell and West Birmingham Hospitals NHS Trust to deliver an exemplary healthcare facility”.